The Temple of Peace (also known as the Forum of Vespasian) was the third of the five Imperial Fora to be built. It is the most obliterated of the five, with the modern world leaving very little to see. Via dei Fori Imperiali cuts right through the center of the forum; half is on the northeast side of the road, buried under restaurants and hotels, and half is on the southwestern side, this part being visible (1st photo below). Since this structure is not mentioned as having a civic function, it has not been classified as a true forum, but rather as a Temple. Some relics from the Temple of Peace are on display in the Museum of Imperial Fora. See all Temple of Peace photos. 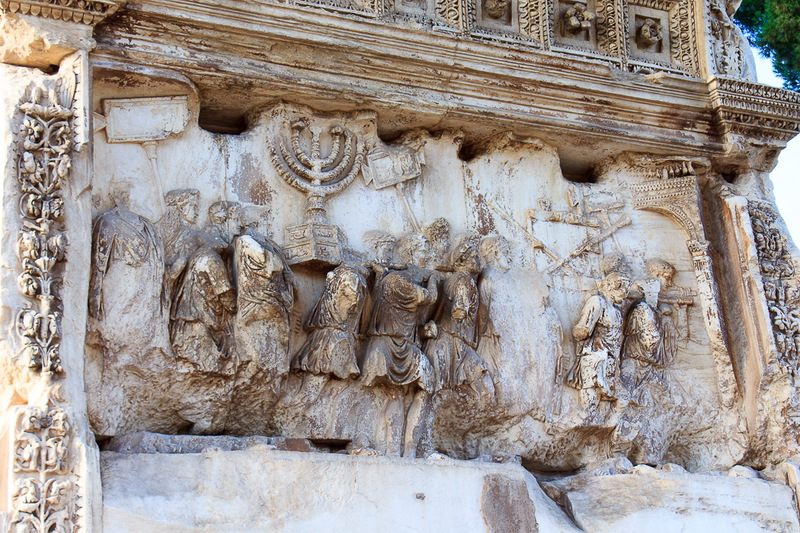 Constructed between 71 and 75 AD by Vespasian to celebrate the defeat of the Jewish revolt in Jerusalem of 71 AD, it housed the most precious trophies stolen from the Jerusalem, including the seven-arm candelabrum and silver trumpets taken from the city's temple, as depicted on one of the friezes (photo below) of the Arch of Titus in the Roman Forum. 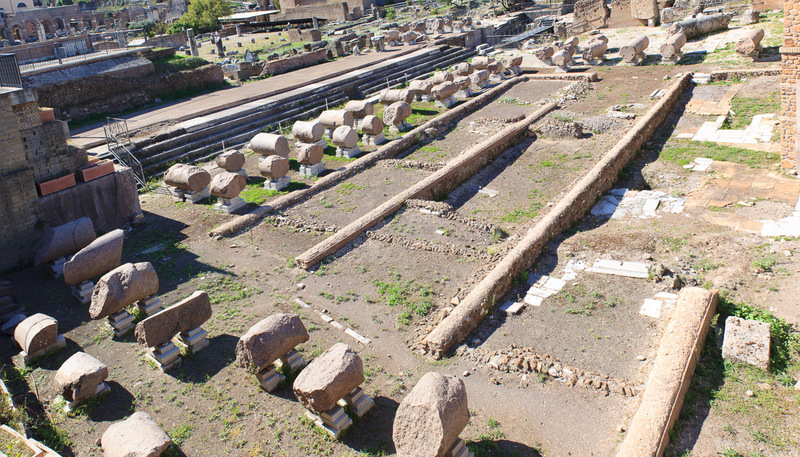 The structures which remain today are mainly from the reconstruction by Septimius Severus following a fire in 192 AD. The temple appears in the Forma Urbis, giving us a good idea of its appearance at the beginning of the 3rd century. In fact, one of the chambers of the Temple of Peace opened onto the wall which housed the Forma Urbis.